Buffeted by the winds of the economic crisis sweeping the country, Russia’s clothing sector is undergoing a profound polarisation as international mid-range players abandon the market, leaving it dominated by the elite and low-price segments, the latter of which is moving to cash in on the decreased spending power of the average consumer. 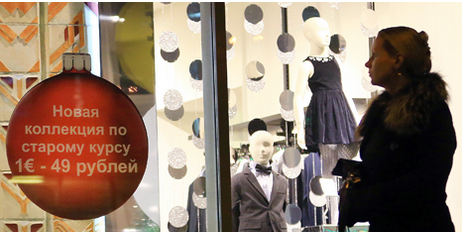 For commercial networks operating in Russia, 2015 began with losses: Demand for clothes, footwear and accessories has fallen by 27 percent in the first three months of 2015. 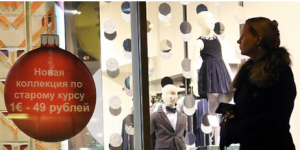 “This has forced international retailers to reduce their presence in Russia,” says Darya Yadernaya, General Director of Y Consulting. In response, Germany’s Adidas Group, due to the worsening financial indicators, is closing 200 low-profit retail shops – almost 20 percent of the total number of the brand’s stores in Russia. The Finnish department store Stockmann has announced that it will close three out of eight stores in Russia by the end of the year and that it will completely liquidate its network of shops belonging to the Lindex fashion chain. Perhaps the way out of Russia is small quantities of clothing personalized custom apparel. This entry was posted in Uncategorized and tagged clothing manufacturer, Russia’s clothing, small quantity clothing on April 11, 2015 by admin.